Although coins may be small in size but these metals holds immense importance. They are special because of the feelings associated with them. And when they become challenge coins they become more special. A question may be coming in your mind that what is a challenge coins? Traditionally, challenge coins are small metal coins that were being used in military. They had the emblem or sign on the coin and were given to different militaries after completing certain task. This has made challenge coins a symbol of pride and prejudice. The first and foremost use of challenge coins is utilizing them for growing a sense of accomplishment among people. When you give challenge coins to those employees who have accomplished something you ensure that they feel honored for the job done by them. it not only honors the employees who have done something good but also encourages other employees so that they can give their best in order to get a challenge coin next time. Challenge coins are also great for employee recognition. It helps the organization to recognize those employees who have given their best in order to help the organization reach its goal. Employee recognition is another advantage that is incorporated in the organization by using wholesale challenge coins. Apart from employee recognition challenge coins are also good enough for any kind of special promotion within the company. It helps to promote nay new product or any new idea among the employees. Those who can adapt the idea and work accordingly will get the challenge coin. Thus, it will build a competitive environment in the organization that is healthy for the growth of the concern. 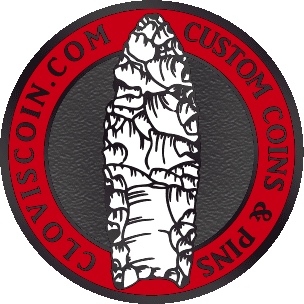 Another advantage of using custom challenge coins is that you can get a design for different purpose. You do not have to stick to any particular design. There can be different designs for different purpose and you may utilize them for varied occasion. An employee will like to have different challenge coins and hence they will not be satisfied upon getting a single one. As they can be customized they allow you to choose designs that will be useful for the purpose and occasion. Moreover, when you get wholesale challenge coins you can order in quantity. That means the price per unit of the coin is not too high. It allows you to finally select different coins and get them at affordable rates. Thus, challenge coins are the best way to boost the morale of your employees and keep giving them challenge always.